supervision and the personal attention they deserve. We have the ability to closely monitor every child, particularly the youngest who are beginning their camp careers. Our counselling staff is hand-picked for this age group based on their desire to work with young children, creativity, patience and programming ability. Prior to your child arriving at camp the directors personally review any key issues or concerns you may have with the cabin counsellors. 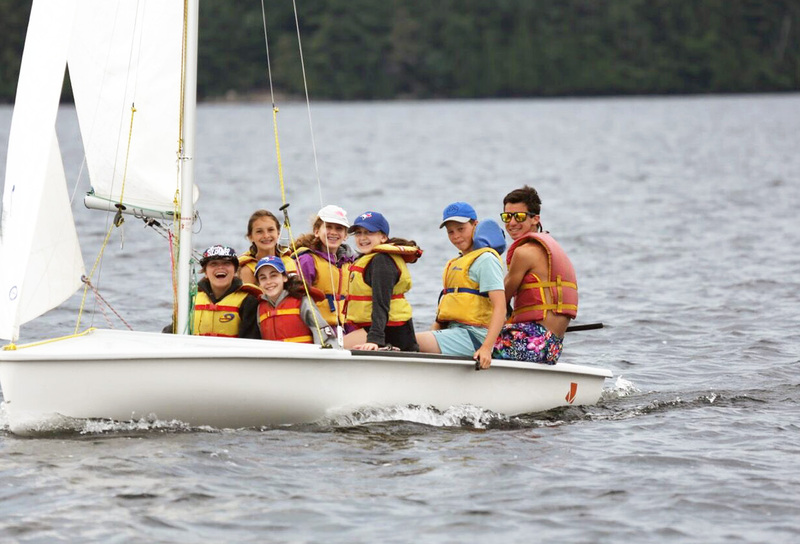 After the first few days of camp, your child’s counsellor will be in touch with you to give you first-hand feedback as to how your child is adjusting to camp life. There are also special sessions catering to younger campers – shorter programs with the option to extend their stay. 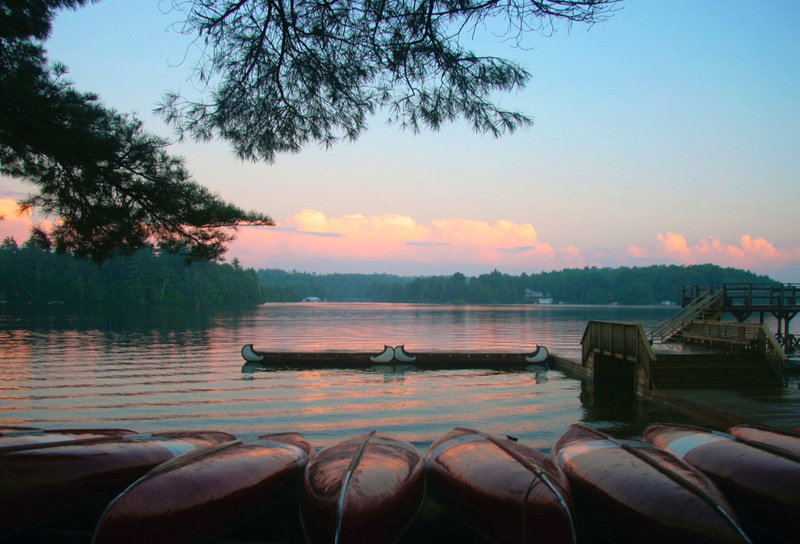 These programs offer parents and campers the chance to experience camp for a weekend excursion or begin their camp career with a 2-week trial. How long a stay for the 1st-Time Camper? The most common question that we face from parents looking to register their first-time young overnight camper is ‘how long?’. While there may be financial considerations, we do strongly encourage one of the full sessions (1st, 2nd or more!). Our goal is to ensure your child loves camp and wants to return year after year. ‘Junie’ campers LOVE camp – the longer the stay, the MORE they adjust to camp life! For many parents, the thought of sending their ‘little ones’ to camp for an extended period is daunting! Guess what? They do amazingly well and there’s a few simple reasons. First, young children are far more independent than we often give them credit for and thrive when given more. Secondly, adjustment to camp can take a little time, and in many cases, just when they hit their stride, a 10-day or 2-week session is over! There are many other reasons, and we’re here to help you in deciding what’s best for your child. In some cases, a short-stay program is the best fit, but in our experience, the longer their stay, the better the experience! We will start with 2 weeks because we want our child to finish on a high note so s/he returns next year. The truth is that more than 95% of our ‘short-stay’ campers want desperately to stay longer. Why? Because on balance, they LOVE camp and even for those who have some homesickness to start, time is their friend and by the time they’ve adjusted to camp life, it’s time to go home! 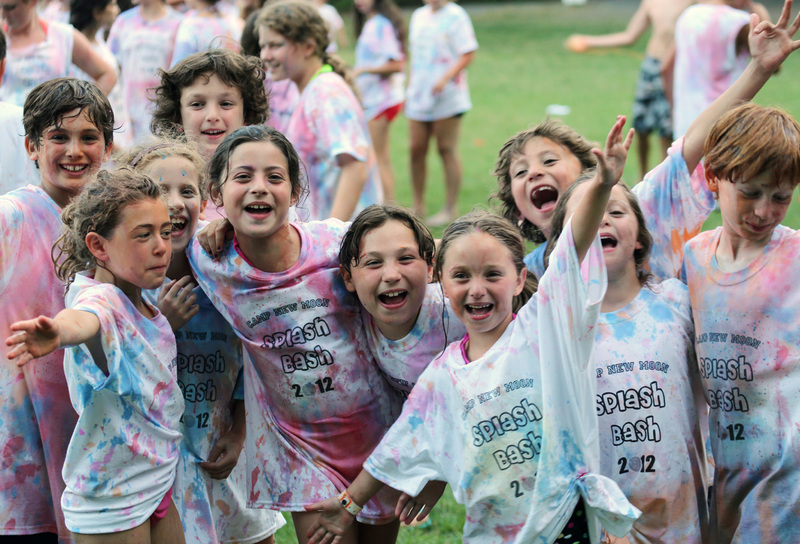 The fact is that campers simply don’t get ‘unhappy’ – they just continue to love camp more and more! If we give them the option and they want to stay, we’re fine with that. It works fine for some campers, but for others, it's a really big decision to make for a very young child. Even though they’re loving camp, the emotional decision to stay ‘longer’ is hard on some children, especially if the parent wants to talk with them on the phone. However, if there is a hope that a child will stay, avoid making too many plans for the 2nd half of the session! Chances are the child will much prefer to stay! For that reason, most ‘Junies’ register for a full month (some longer!). A month seems too long and they’re worried about the length of time. A month is a long time for sure. However, a young camper’s sensibility about time is much different than an adult’s – for many, the concept of time is only beginning to crystalize. We don’t encourage discussing ‘time’ or ‘how long’? We encourage parents to talk of the 1st or 2nd ‘session’ and we can offer many additional strategies that can help in this regard. We also remind our first-time camper parent to ask the most important question: is it too much time for them, or for me?? If a shorter-stay is the only consideration, registration options for the youngest campers include the Weekend Trial or Short-Stay sessions. The Weekend Trial gives campers a sense and ‘feel’ of what overnight camp is all about. They’ll share a cabin with fellow campers and take part in a jammed-packed weekend of activities and special programs. We’ll keep you web-connected during the weekend and your child will love this preview of what camp will be like in the future. Counsellors and counsellors-in-training provide added supervision from the moment campers arrive until their trip home. It’s a great way to start a camp career! We will work with you to ensure your child receives the best possible experience at camp, regardless of your final decision. We understand that it’s not just the camper who needs to prepare for the first overnight experience – and we are here to help you as well! It is natural for parents to wonder ‘will they be ok?’ ‘What if they don’t make friends?’ or ‘how do we know if they are ready?’. We can help with these questions and many more as we guide you through the process with honest and calming reassurance.